Today we present you the new Bluetooth speaker by Grundig in front, the GSB 600 NFC. Especially on the Bluetooth speaker, the NFC is function, which allows a fast connection to the player. We have extensively tested the speaker for you. As I the Grundig GSB the first time out of the box saved 600 NFC, you noted is alone because of the weight, here holding a quality product in your hands. The first connection via NFC although I managed with my Smartphone after a few tries, but then, this was no longer a problem. You must deal only with the connection system of the GSB 600. However, no problems have occurred when connecting via Bluetooth. For this you must simply hold the ON button for a few seconds on the speaker and turn on the Smartphone Bluetooth and click 600 on the GSB, and connect. The speaker then produces a short acoustic signal. Also the integrated light steady blue and does not blink as device otherwise it does find a Bluetooth. There are five buttons on the speaker. They are the only buttons on the device. One of them is the button for start/stop the music. In addition the pause button, surround sound and the volume control are installed here. The volume can be divided into a total of 15 different levels. In addition, there is also the possibility to change the volume on the playback device. This is I noticed slight delay occurs when one wants to stop the music. If it stops the music on your Smartphone, it works immediately. Two passive transducers used, which provide rich deep tones come in the Grundig product. This is clearly noticeable in very bass-heavy songs. The built-in LED status of the Grundig speakers at any time sent to the user, is such as particularly positive, whether it is connected with a Smartphone. In addition, the device is also acoustic signals that it make the user even easier to use. Only at 10 meters distance between player and speakers, and a wall in between no signal comes through more to the speaker. I personally like very much, that continues the music exactly at the point where she stopped, if it comes again in the vicinity of the player and the signal is recovered. The Grundig GSB 600 NFC in its name an additional feature betrayed, he can NFC. Read more here. 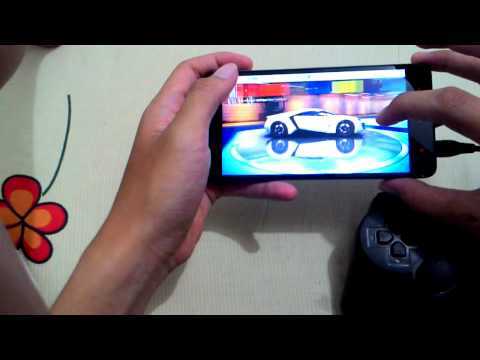 To do this the player must support a Smartphone, NFC in this case. To use the feature, it is enough to turn the Smartphone NFC and then to the Grundig’s holding. The NFC transmitter is located on the right side of the speakers, where also a corresponding sign points to NFC. There you have to hold off his device for a few seconds. The GSB 600 then establishes a connection to the Smartphone. A special feature on the Bluetooth speaker is above all the long battery life. Where other speakers have already after about 8 hours at the power plug, he can play music Grundig another 8 hours. Thus, the battery has a life of incredible 16 hours. Once again increasing the variability of performance through the ability to connect, at the same time with two smartphones is completed. In addition he was awarded Grundig GSB 600 with the plus X Award for the convenience, what provides additional arguments for the purchase of the speakers in my eyes. On the market of available 600 NFC GSB Grundig since September. Conclusion: Grundig 600 NFC brought here with the GSB a super speaker on the market, which in many ways. He to has over a very long period, has a tasteful, high-quality design and is it still easy to use I like particularly. Before buying should one be aware, that the device is suitable due to its weight tend not to carry out alone. Rather, it needs a place to stand, to optimally develop also its great sound.